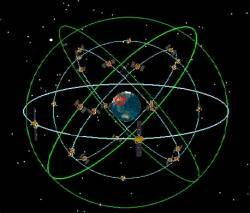 China will launch another three satellites for the BeiDou-2 (Compass) system by the end of the year, according to officials speaking today (May 18, 2012) at the China Satellite Navigation Conference (CSNC 2012) in Guangchou. Meanwhile, in comments quoted by People’s Daily Online edition, the system is expected to be adopted by some of China’s neighboring countries in the next year or two. People’s Daily is the official newspaper of the Communist Party of China. "The trial service of the Beidou system shows it can provide a high-quality regional service," Ran Chengqi, director of the China Satellite Navigation Office, at the third annual CSNC event. "Many of China’s neighboring countries, such as Pakistan and Mongolia, have shown strong interest in the system," Ran said, adding, "Technical discussions are under way, and hopefully Beidou products can enter these markets in one to two years." According to the People’s Daily report, Ran said that two satellites will be launched together on a single rocket in August, and another will be launched in October. China has launched three Beidou satellites this year, with two launched on a single rocket on April 30. "China will formally announce plans to provide free positioning, navigation and time services for customers in the whole Asia-Pacific region by the end of the year," Ran said. China will continue to improve the performance of Beidou, and by 2014, will expand its GNSS’s service area, aiming for global coverage, China Daily quoted Ran as saying. CSNC 2012 ends on Saturday (May 19, 2012). Selected papers from the event are currently available from Springer. 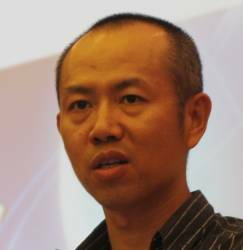 Editors of the proceedings include Sun Jiadong, chief designer of the Compass/BeiDou system, who chaired the conference.